Toast to the enviable varied gastronomy in the Setubal region where you will not find better wines. With a microclimate that favours either the cultivation of the vine or the production of fine nectars, Setubal offers quality wines recognized across the globe. With floral aromas in the white wines, and the soft flavours of spices and wild fruit in the red wines, along with the diversity of flavours of the famous Moscatel de Setúbal, the wines in this region transport us to a universe of sensations in a country blessed by nature. Wine production in the region of Setubal is internationally recognized, with a variety of quality of red and white wines obtained from grapes matured on the slopes of the Arrabida Mountain. We will visit 3 fantastic and very different wineries around the Setubal Region, the home of the Castelão and Moscatel grapes. The peninsula of Setúbal, together with the peninsula of Tróia, have acquired great prestige and importance in the last decades. Wine tourism has also gained equal importance. The cultures of the vine and of the wine have been able to integrate and have adapted to these new times, and are unanimously recognized as a strategic resource and of great quality in the region. From the large farms dominated by the variety Castelão to the Moscatel, one of the national dessert wines, this region has always played a leading role in the history of Portuguese wines. Farmers in this region produce prestigious wines and are winners of numerous international awards, but recognition of these wines comes from old times, since during the Late Middle Ages, between the 12th and 15th centuries. Wine has been the main export product in the Peninsula de Setúbal, stimulated by the technological advances introduced by religious orders. In the Peninsula of Setúbal, grape seeds were found in recent archaeological excavations dating back to the 8th century BC, highlighting the ancient culture of the vine, which goes back in the region to a period long before the formation of Portugal. With this tour you can also combine a dolphin watching cruise or a jeep tour of the Arrabida natural park if desired. The Setubal dolphin watching and scenic cruises take place in the waters around the Sado estuary, the Troia peninsula and the Arrabida natural park. 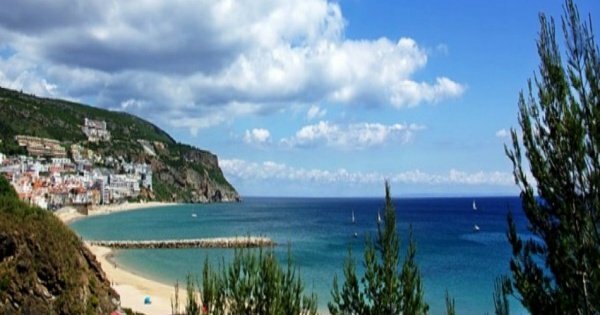 This includes the Bay of Setubal also known as the Bay of the Dolphins and recognized by UNESCO as one of the most beautiful bays in the world! This coastal region is known for its calm waters, white sandy beaches, often with dramatic craggy backdrops, and a balmy microclimate.